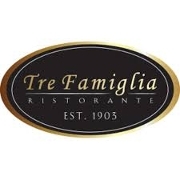 At Tre Famiglia pride ourselves on making your dining experience a most memorable one. For over 115 years we assure you'll get the best quality food and service. Come in and enjoy or distinctively different Italian fare that keeps the locals coming back for more.